Someone—it's not clear who—appears to be painstakingly vandalizing trashing about Anne Frank in public libraries across Tokyo, including her famous diary. 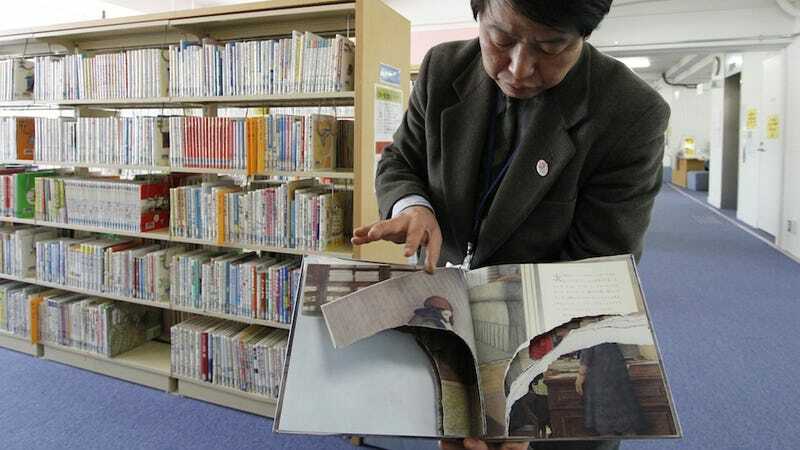 "We have complaints from five of (Tokyo's 23) wards so far but I don't yet know exactly how many libraries are affected," Satomi Murata, the head of the council, told AFP. "We don't know why this happened or who did it." "Each book had 10-20 pages torn out, leaving it unusable," said Kaori Shiba, the archives director at the central library in Shinjuku ward, where 39 books were vandalised at three libraries. Another deputy library director reported that every book in their collection that pops up when you search for Anne Frank had been hit, and in another area, several books with "Holocaust" in the title were damaged. While anti-Semitism is not common in Japan, magazine articles and books have occasionally appeared here that deny the Holocaust or claim that a Jewish conspiracy was behind various historical events. One of the most outlandish of these books, published in 1979, wrongly proclaimed that Enola Gay, the name of the United States B-29 bomber that dropped the atomic bomb on Hiroshima, meant "Kill the Emperor" in Yiddish. Japanese authorities are promising to investigate.